I have read The Millionaire Fastlane and found it to be my favourite book on entrepreneurship. I am equally excited to read UNSCRIPTED this summer! I just finished reading The Millionaire Fastlane. I must say I am amazed at this book. It has caused me to think up so many ideas. I am in the process of planning my Fastlane move now. It has been a real eye opener for me. Walker and MJ DeMarco like this. I'm only up to CH. 5 - but my gosh, it is so damn easy to read! I'll be posting here hopefully by the end of next week with that beautiful badge. After that I will be starting my own little adventure into the world of business, using what I've learned through the book. "You only have to be right once" - Mark Cuban. When you're wrong - you're wrong for a week. When you're right - you're right for life. Great read. Truly changed my perspective on life. This book completely changed the way I look at money. I feel as though the veil has been lifted from my eyes; surely money is plentiful and easy to get, since 320,000,000 people in america alone spend their average $35,000 somewhere. Even the portion that goes to the government gets spent eventually. That's 11 trillion dollars getting spent somewhere every year! I'm gonna carve a piece of it for myself by building something those 320,000,000 people, and billions elsewhere, need! itmap, Walker, Gamechanger and 1 other person like this. I've read the book and loved it! I also bought the audible version and is now listening to it for the second time. I love the story about Chuma and Azur and also the concept of SUCS! Young-Gun, Walker and MJ DeMarco like this. Just finished reading. I will reread it when I start my business! itmap and MJ DeMarco like this. I've just finished the book, will read it again. You said it! There is no shortage of money, and I feel as though my eyes have been opened to a whole world of possibilities! Young-Gun, itmap, MJ DeMarco and 1 other person like this. I've read it. Solve problems and create value. Words to live by. How did I never notice this thread? I read this book a while ago! Young-Gun, MJ DeMarco and Gamechanger like this. You mean you joined the forum and had no idea that TMF is parental to the forum? 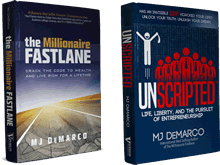 Read the millionaire fast lane. Liked the part where you talk about how long it would take for someone like a bar tender to make a million bucks. I read the book and what I took away from it was to create value and solve a problem in your business to create massive value to others. Young-Gun and Kingmaker like this. This is the first (and one of the only) business books I've ever read. Can't believe I just discovered the forum after having read the book years ago! Read the book is kind of an understatement. Of course I have gone through the book repeatedly and will continue to do so. Audible is my current favorite way of "reading" books. I only get the unabridged versions. Yours being narrated by you is priceless. I am also going to get quantities of your book to give out. I could go on and on about your book MJ but for me - it is on my all time favorites list, right at the top. I recently finished your book. It was a great read. I also downloaded the Audible as well. I listen to it all the time. 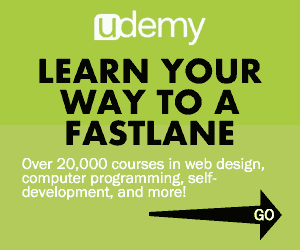 It has motivated me to get in the Fast Lane and get out of the slow lane. I'm pumped! I read TMF 2 weeks ago in my holidays and already looking forward to the next book of yours. Especially the distinguishing between the three mindsets gave me a whole new perspective towards my family and friends (unfortunately they are not Fastlaners ^^). Thanks for the value you brought to my life man. Will also buy your next book as well. Thanks again for giving us all a forum to connect with and meet like minded people and giving us a no BS book that provides real value.